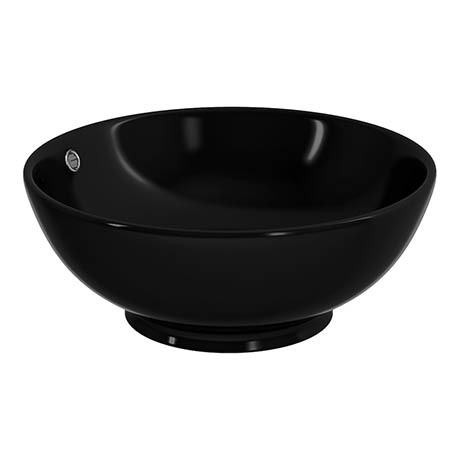 The elegant black gloss round counter top basin with stylish round design. Designed to be mounted onto a worktop console or piece of vanity furniture. The basin comes with no tap holes and is to be used alongside a counter or wall mounted outlet. Made from quality smooth gloss black ceramic.